Performance is always the #1 goal at Taurex. Maximizing performance is the driving force behind everything we do at Taurex. We get you to TD faster and lower your cost per foot on every run. 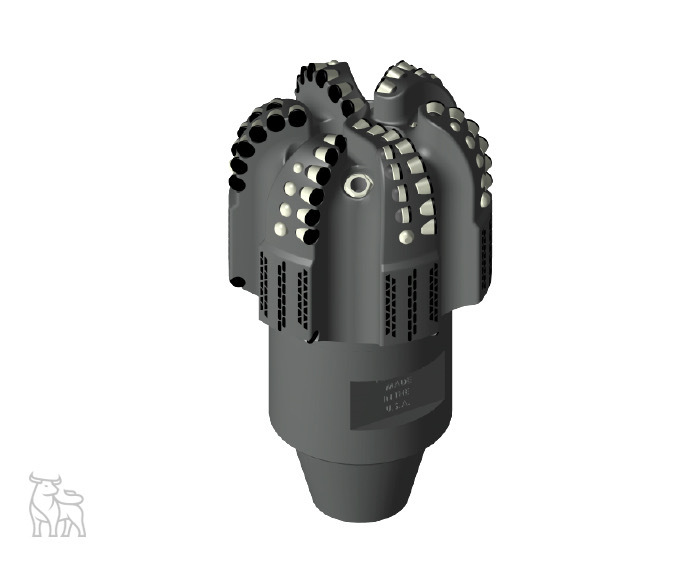 Offering a unique product mix of custom PDC’s, reliable roller cones, and a full line of completion bits, we can service your every drill bit need. Taurex partners with drilling companies to find solutions to everyday drilling problems. We offer the latest cutter technology combined with application specific bit designs to save you time and money. And, we lead the industry in speed from concept to delivery of our custom drill bit solutions. The Txd/Tsd Series from Taurex is designed to generate a consistent torque response to enhance tool face control in directional environments. The layout, features, and cutters are customized to deliver high ROP in any directional application. The Speedset series is designed to maximize ROP and footage. The series incorporates optimized cutter layouts and profile that results in a smooth distribution of torque and work load from cone to shoulder. 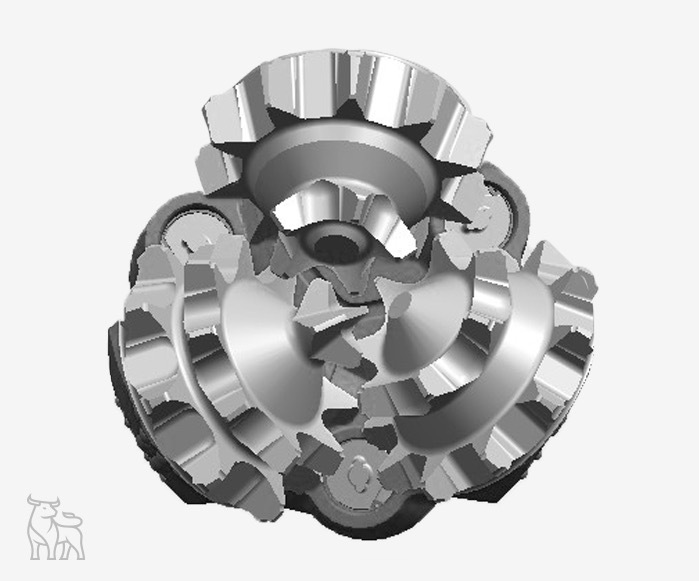 The Txt/Tst Toughset series offers improved durability in difficult drilling environments. This series leads the charge in hard rock drilling by stabilizing individual cutting elements and distributing work across the profile. The Motor Drive series are high-speed drill bits used for downhole power drilling tools. These bits integrate advanced cutting structures and gauge protection technology, reliable bearing system, and a hydraulic structure designed for greater efficiency in high speed drilling applications. The combination of these advanced designs decreases the common problems of conventional bits in directional and horizontal drilling, such as cone shell erosion, premature bearing failure, and low ROP. MD series bits are the ideal choice for directional, horizontal, and high temperature drilling. Adopting the Floating Bearing Structure. The floating bearing design reduces the relative linear speed of the bearing couple and decreases temperature rise on friction surfaces. The floating elements are made of highly elastic materials with high temperature and abrasion resistance. This design increases bearing life and reliability in high WOB or high RPM applications. Implementing the Metal Face Seal (MFS). High precision metal rings are used to form the bearing axial dynamic seal. Two elastic rubber energizers are separately located in the head and cone sealing areas to form a static seal. This type of seal reduces the friction force on the sealing surfaces by 70% to 80%. With the reduction of the friction heat and friction force, compared with the conventional rubber seal bits, the average working life (total drilling hours) can be increased by 35%. *Note: MD Series Bits are also available with the O-ring sealing system in place of the Metal Face Seal. Secondary Cutter Technology. Secondary cutter technology is the addition of a secondary row of cutters between primary rows of cutters, forming a special cutting structure with twin bottom hole break lines. This design significantly reduces cone shell erosion in directional and horizontal applications. Compact Technology. By examining the protrusion, tungsten grade, and overall shape of the compacts, the JZ engineers have designed the MD Series Bits with compacts that are optimal for high ROP in soft to medium hard formations. This design also effectively prevents cutter breakage in transitional zones. MD Series Bits come with an enhanced gauge protection package. The hardfacing on the shirttail is reinforced and covers a larger area for better protection of the sealing area. Compacts are fitted in shanks with a certain exposure to reduce wear on bit head and grease reservoir area. In addition, the gauge protection is reinforced by utilizing double rows of buttons on the gauge rows of the cone. Note: MD Series Bits can be equipped with PDC cutters in heel row, gauge row, and head OD when used for drilling more abrasive formations. 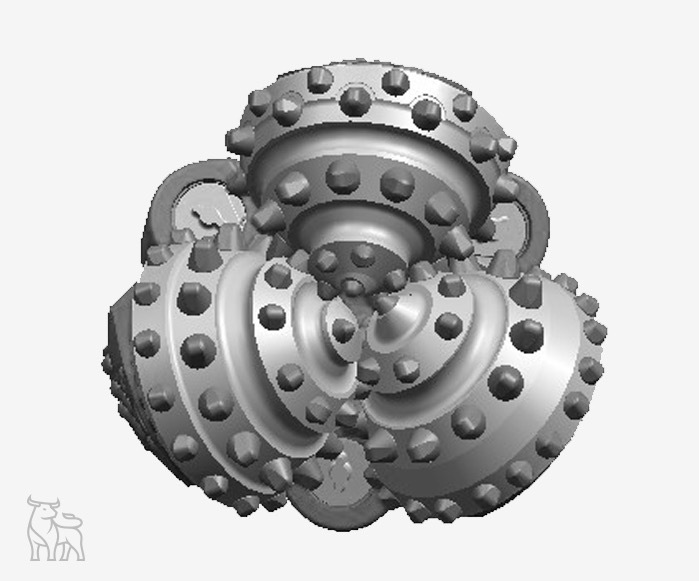 The Hard Formation Series is designed specifically for hard rock drilling applications. These bits incorporate advanced cutting structures, gauge protection, and material technology all specifically designed for hard rock drilling. 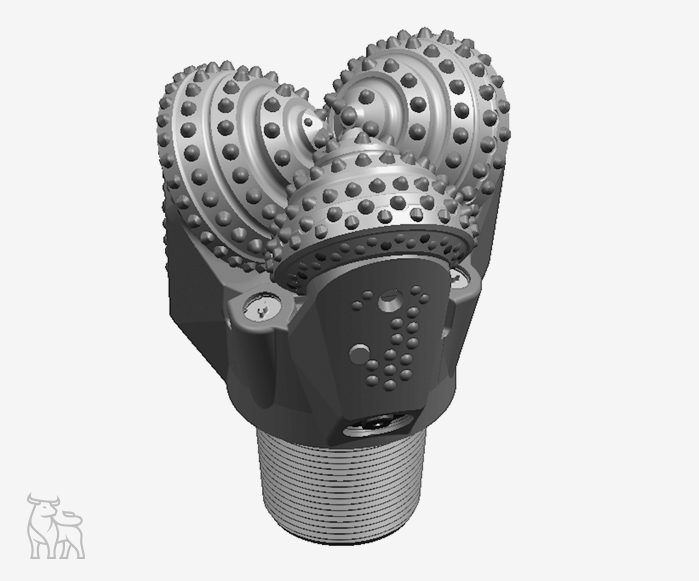 These design features reduce problems associated with hard formation drilling such as well bore diameter reduction, low ROP, and cone shell erosion. The cutting structure of the HF Series is designed with computer simulation on the basis of large quantities of hard rock drilling tests on a drilling simulator as well as failure analysis of field tests in various hard rock formations. Superior material used for the cutting elements improves wear resistance and impact resistance. The design equalizes the load of each compact and maximizes the cutting action of each compact. HF Series Bits are designed with a journal bearing for higher weight on bit applications. Bearing capacity and anti-galling capability are both improved by applying hardfacing on head bearing surface and silver-plating on cone bearing surface. The seal design can be either the standard O-ring seal or the metal face seal for higher RPM applications. HF Series Bits come with an enhanced gauge protection package. The hardfacing on the shirttail is reinforced and covers a larger area for better protection of the sealing area. Compacts are fitted in shanks with a certain exposure to reduce wear on bit head and grease reservoir area. In addition, the gauge protection is reinforced by utilizing double rows of buttons on the gauge rows of the cone. HF Series bits can be equipped with PDC cutters in heel row, gauge row, and head OD when used for drilling more abrasive formations.. The HA Series bits can endure comparatively high bit weight under normal rotary speeds. The O-ring seal is made of wear resistance high saturated buna-N. The increased seal section and added sealing flange in the cone sealing area increase the reliability of the seal. The HJ Series bits use metal face seal (MFS) — the most advanced sealing technology in the world. This series of bit can perform consistently in high speed drilling applications, and is the ideal tool for horizontal and directional drilling. High precision metal rings are used to form the bearing axial dynamic seal. Two elastic rubber energizers are separately located in the head and cone sealing areas to form a static seal. This type of seal reduces the friction force on the sealing surfaces by 70% – 80%. With the reduction of the friction heat and friction force, compared with the conventional rubber seal bits, the average working life (total drilling hours) can be increased by 35%. 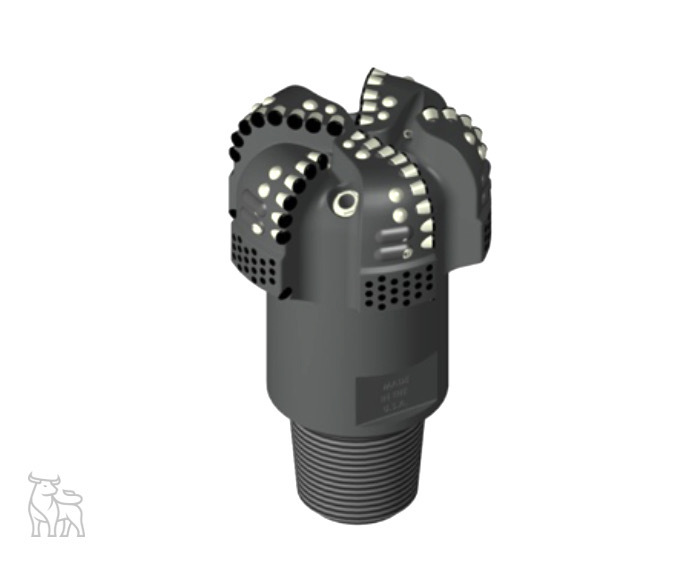 GA Series bits are an economical tool for high RPM drilling applications. The roller sealed bearing structure, with the roller groove recessed into the cone, increases the size of journal, which can bear high WOB and accommodate high RPM drilling. Thrust bearing couple surfaces are treated with anti-friction and hardening processes, which increase both the loading capacity and the seizure resistance. This GJ Series bits use metal face seal (MFS) – the most advanced sealing technology in the world. 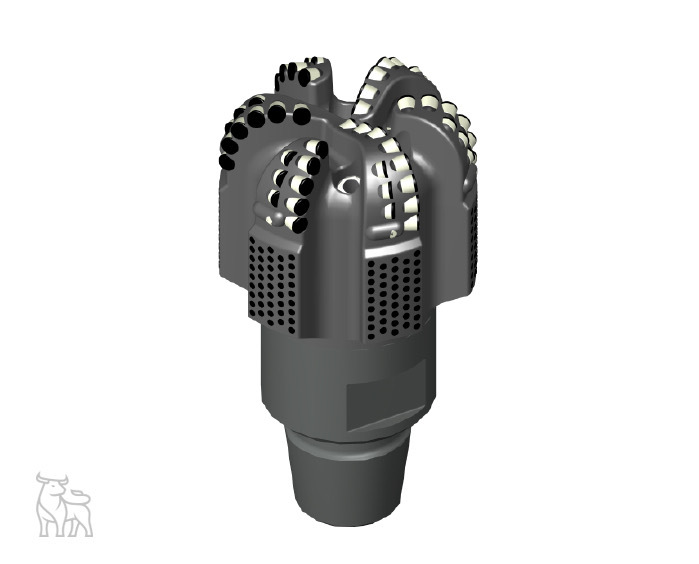 These bits can perform consistently in high speed drilling applications. High precision metal rings are used to form the bearing axial dynamic seal. Two elastic rubber energizers are separately located in the head and cone sealing areas to form a static seal. This type of seal reduces the friction force on the sealing surfaces 70% – 80%. With the reduction of the friction heat and friction force, these GJ bits have excellent features applicable to high RPM drilling. Compared with the conventional rubber seal bits, the number of total drilling hours can be increased by 35%. The position of the rollers in the recesses of the cone ID enlarge the bearing and roller size and reduce the sealing diameter. This decreases the rotary speed and friction heat of the sealing surfaces and improves the loading capacity of the bearing. The W Series bits are an economical tool for high RPM drilling as well as geothermal drilling applications. W series bits have the following types of bearing structures: roller-ball-roller-thrust for bits larger than 12-1/4″, and roller-ball-journal pilot pin-thrust for bits smaller than 12-1/4." With the non-sealed bearing, the drilling fluid can go directly into the bearing cavity to cool the bearing, which is ideal for geothermal drilling.